Gallstones, Gallstones & Laparoscopic Cholecystectomy, Hepato-Pancreato-Biliary Cancers, Liver Cancer, Liver Tumours, Malignant biliary obstruction: Percutaneous transhepatic drainage and stenting, Pancreatic Cancer, Pancreatic Tumours. ​Dr Cheow is a Senior Consultant with the Department of Hepato-Pancreato-Biliary and Transplant Surgery. His area of practice is general surgery, with specialisation in open and laparoscopic surgery of the liver, pancreas and gall bladder, including deceased-donor and living-donor liver transplant. He is gazetted by the Ministry of Health, Singapore as a liver transplant surgeon since 2006. He was the Surgical Director (Apr 2010-Sep 2012) and subsequently Director (Oct 2012 – Dec 2014) of the Liver Transplant Program at Singapore General Hospital, and a member of the Advisory Committee on Transplantation, Ministry of Health (2010 – 2015). Dr Cheow is actively involved in medical education, including teaching, mentoring and examination of medical students, junior doctors, surgical trainees and nurses. In addition to appointments at the Duke-NUS Medical School and the Yong Loo Lin School of Medicine, National University of Singapore, he is also an Examiner with the Royal College of Surgeons of Edinburgh, United Kingdom, and a certified instructor in the Advanced Trauma Life Support (ATLS) program of the American College of Surgeons. 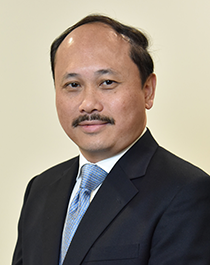 He served as the Associate Program Director of SingHealth General Surgery Residency Program Nov 2009-31 Dec 2012, and subsequently Program Director 1 Jan 2013 – 31 Jan 2018.